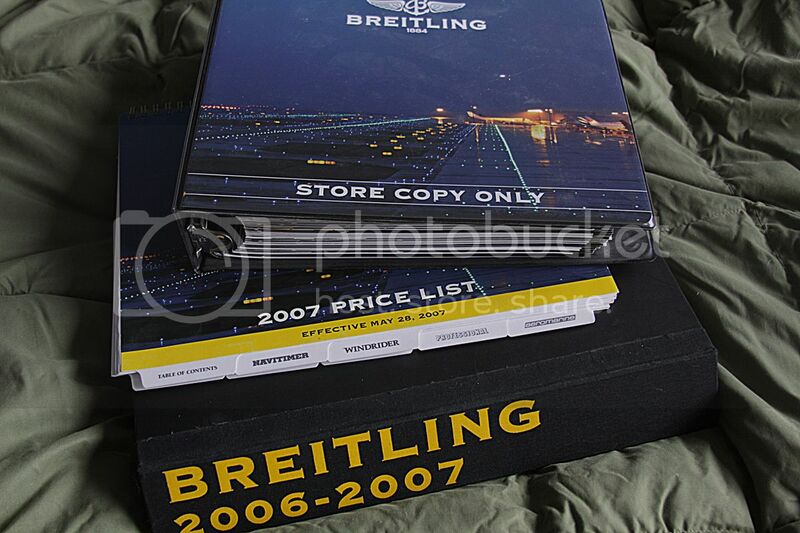 I have two Breitling UTC Modules from circa the year 2000. The ID numbers on the back are A61072 6344 and A61072 6394. These are stainless stell UTCs (not two-tone with gold bezel) and I am trying to determine the color of blue on the faces. 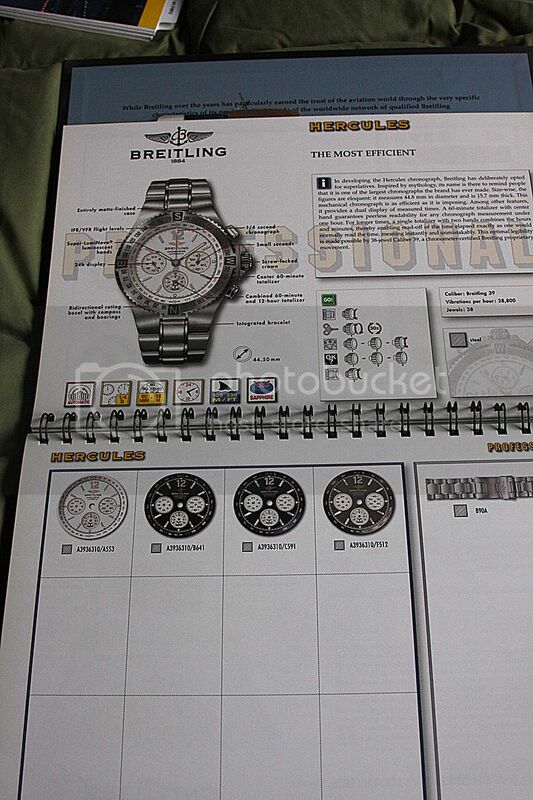 I know that Breitling has used many shades of blue for the dials over the years - metallic, ceramic, guilloche, etc. Can those ID numbers help trace the dial color? I want to find the same dial color on two-tone UTCs with gold bezel - but it's not an easy task on pieces made 15+ years ago! I have the store sales books for the mid 2000's. I have them packed away because of our move but will try to find them and see what I can find. Frank, it would be great if you could find out more.... are your sales books available for purchase? 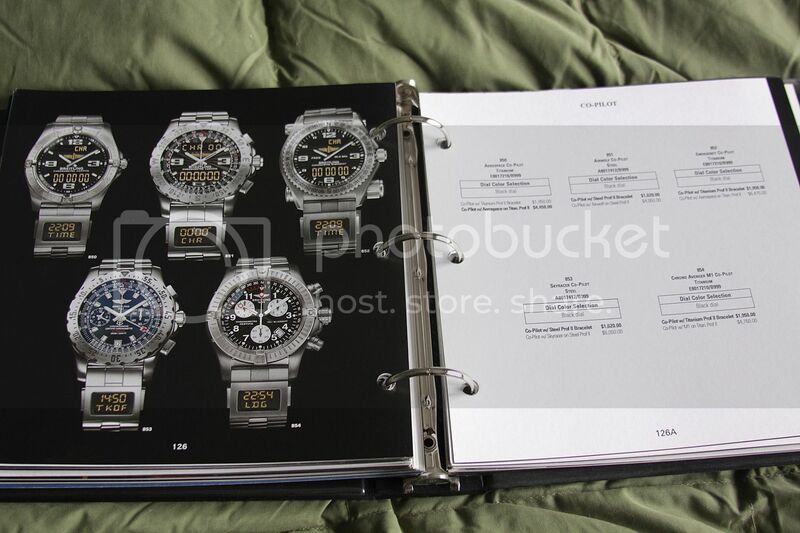 I collect mid-1990s Breitlings. Location: Back in Hong Kong !!! 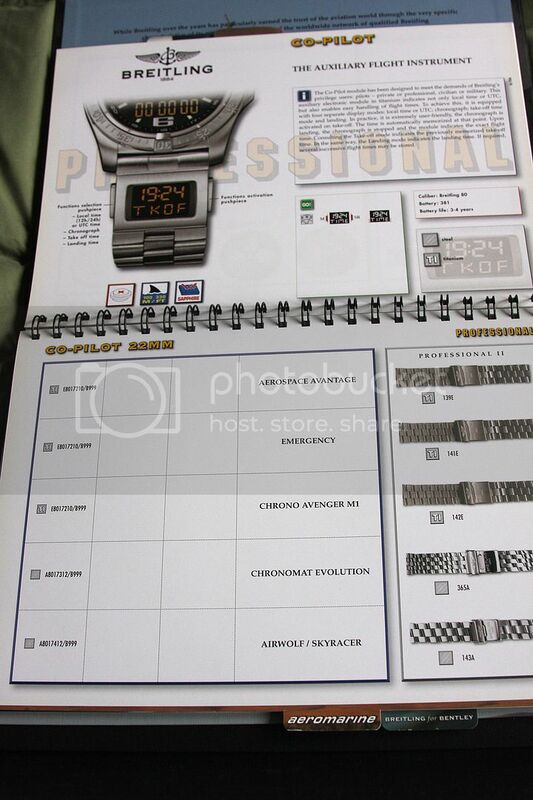 Not sure if this is of help but in the 1998/99/2000 Chronologs it states "The Chronomat may be fitted with an optional auxiliary UTC watch with matching dial color." In the 1998/99/2000 price lists the different Chronomat dial colors are just referred to as "Blue dial". "It is just a matter of time"
I apologize as my books are from 2006-7. That is the oldest I have but I truly thought I had the sales books from the years before. All I have in mine are the digital utc and not the analog. The digital were only offered in black but that just makes sense. These are my oldest store copy books. The second shot, from the 2006-2007 book, is to show how the face colors are explained. The second only shows black for the utc. 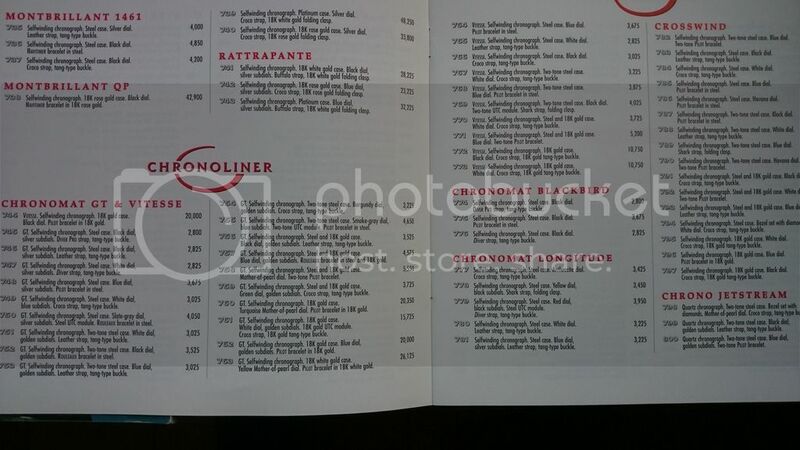 The next photo is from the 2007 book and it shows the combinations on the left page and the individual utc pricing and face availability on the right, only shows black. That is all I have, sorry I could not be of more help on the earlier offerings. I would go with whatever Ron says as he has been a very good source.